Pick Your Own Cherries Are Now Ready! 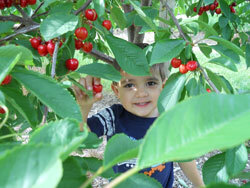 Cherries are the second fruit of the season available for “pick your own” at Parlee Farms. We have nine varieties of sweet cherries that cover almost two acres of land. 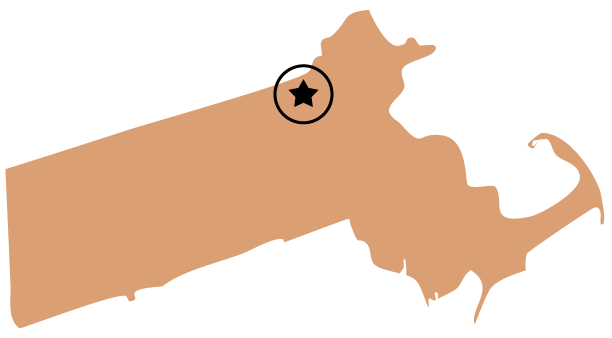 Due to the weather conditions in New England, cherry picking has a very short picking season and only lasts for about three weeks from late June into mid-July. The season can be further reduced by weather conditions, especially if it rains when the fruit is present. Cherries are one of the most beautiful tree fruits and have plenty of health benefits! Cherries are high in antioxidants and low in cholesterol, fat, and sodium. They are also a good source of Vitamin C and fiber. We harvested our first pick your own cherry crop in 2010 and it was a big success! Our 1,400 trees are on a full-dwarf root stock, so they are easy to harvest. We purchase our cherry trees from Adams County Nursery, Inc. in Aspers, PA, a fruit tree nursery that maintains a comprehensive product line by working with plant breeders from across the globe. The majority of the cherry trees at Parlee Farms are the Black Gold and Rainier sweet cherry varieties because they don’t split as often as other varieties do. The Black Gold are self-fertile cultivars and do not require cross pollination. Other varieties are planted in sets of two or three varieties to allow for cross pollination. Cherries are very perishable and do not ripen after picking. So, if you plan on going cherry picking be sure to pick fully ripe cherries and refrigerate soon after purchase. Cherries can remain fresh in your refrigerator for 2-3 days. Because the cherry picking season in New England is only a few weeks long and is affected by the weather, we hope that you can enjoy this wonderful fruit in the short time that it is available! Be sure to check our “Current Picking Conditions” page before visiting us to pick your own cherries in the next few weeks!